I feel like I will never get sick of polka dots. There's something magical about them and I can't figure it out. They're entrancing. They're exhilarating. They're captivating. They're just so damn awesome. Who's with me? Honestly, that's all I have to say today. What an adorable outfit! I agree, I can never get sick of polka dots, either! I adore how fun and flippy that skirt is. Love the light denim jacket! Oh, I love this dotty outfit a ton too! and I'm never getting sick of you wearing polka dots!! totally adorable as ever! I totally get your pattern love, only that is how I feel about stripes. The double dots are so cute though! 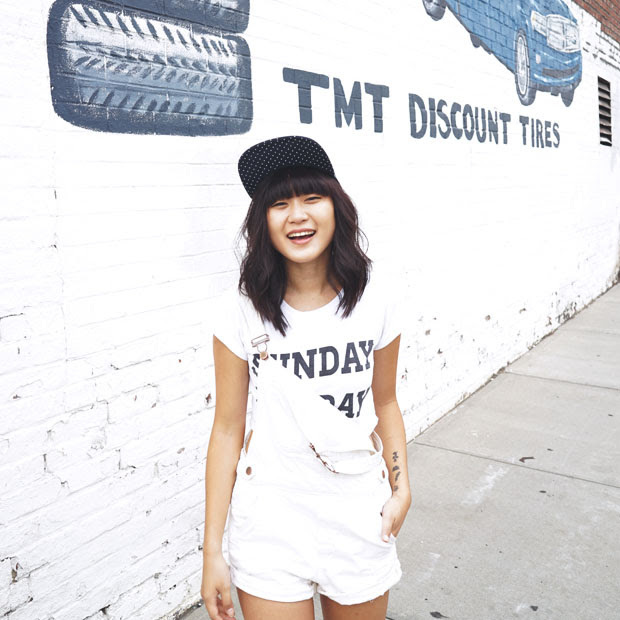 I am loving the denim jacket trend right now! I absolutely love this look! The double polka dots are so cute. How are you so cute?! 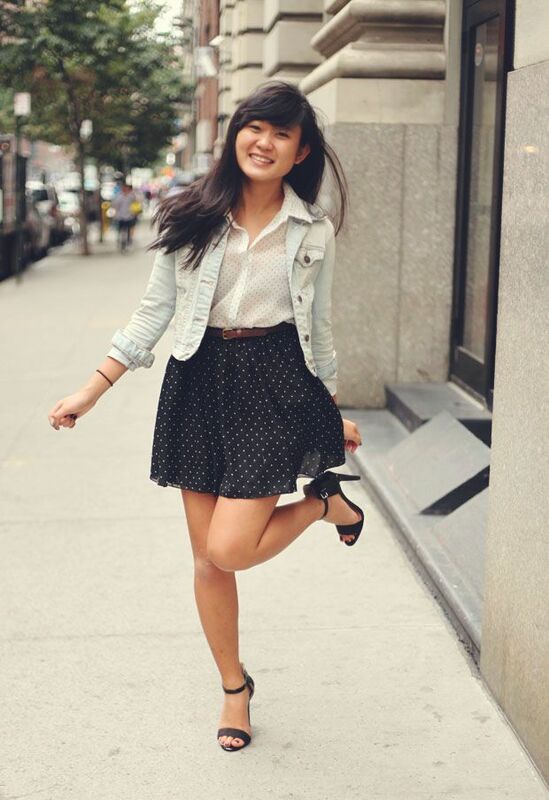 I love how happy you look in these photos :) Polkadots are definitely always in style! 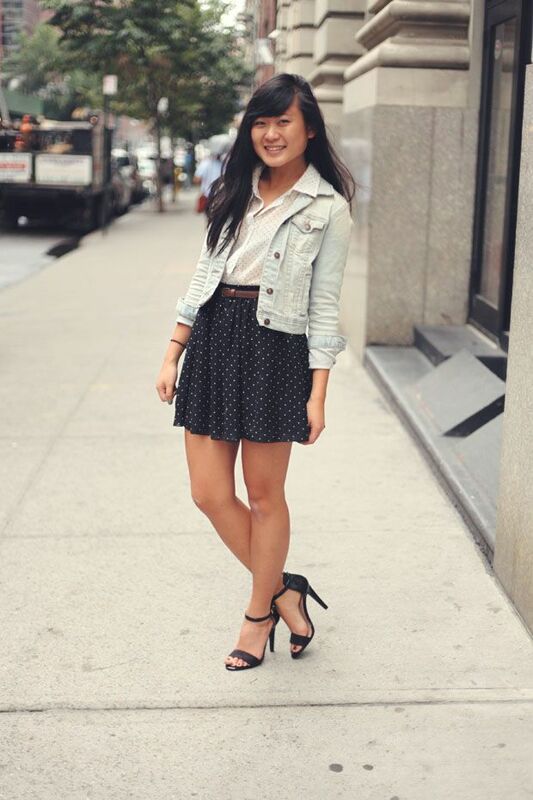 Love this cute flouncy skirt with the denim jacket and chic heels! You need to wear this outfit more often! I love love love love love love love it! And if it weren't so hot and humid here I'd bring out my denim jacket tomorrow!